Explore our list of places to water ski in NY and make your trip or visit to NY a fun-filled, adventurous one! Find detailed information about a series of areas that offer some of the best water skiing in NY. Water Skiing in the Beautiful Adirondacks! 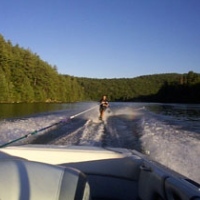 Go waterskiing on the warmest lake in the Upstate NY area! Daggett Lake offers water ski rides and lessons (for beginner, intermediate, and advanced levels), slalom courses, wakeboarding, and tubing. All equipment will be provided for you. Daggett Lake is only minutes away from many of the resort areas in the Southern Adirondacks. Plus, you'll find cabins, cottages, and RV sites on premises. Each camper cabin includes one double bed and three single beds, a picnic table, and an outdoor fireplace. Pylon-mounted camcorders are included on each of the boats, allowing you to videotape your lessons and take a copy home with you! 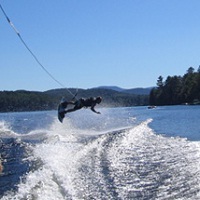 Adirondack Water Ski and Wakeboard School is located in the Adirondacks on beautiful Lake George in Upstate New York. It offers some of the best water skiing experiences in NY. Whether you want to try water skiing, wakeboarding, wake surfing, wake skating, or go tubing for the first time, or you have been doing it for years, the certified instructors can improve your technique in a safe and enjoyable environment. The school is using only top of the line equipment by O’Brien, CWB, Connelly, Barefoot International Booms, and Proline Handles and Ropes. The season runs from Memorial Day weekend till October depending on the weather conditions and the temperature of the lake. Prices start from $85/half hour. Whether you are a beginner or an experienced water skier, come to Inverted Wakeboard and Waterski School in New York. It offers great fun on the waters of beautiful Loon Lake in the middle of Adirondack Mountains. The school features two great boats to double the amount of water time: a 2003 Air Nautique 216 and a 2008 Supra SSV22. If you are looking for a place to stay near the lake, you can rent a house that can accommodate up to 8 people. The houses are situated only 300 yards away from the two beaches ideal for rest and relaxation. You can book the Inverted Wakeboard and Waterski School for your parties, too. Prices start form $110/hour. For more information, visit the website. A Vacation that's Perfect for the Whole Family! 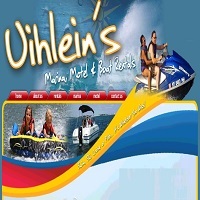 Offering all kinds of water sports, including water skiing in New York and surrounding states, Uihlein's Marina is a family-owned business that treats its guests like a family! It's a full service marina and recreation center that's perfect for the whole family. Activities like fishing, swimming, boating, water skiing, and many others are just some of the things you and your family can do! Come anytime of the year-- or anytime of the day! It's open 24/7, all year round! Now, isn't that just perfect? 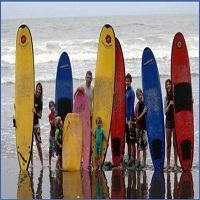 A Surf Camp for you and the Kids! Want to learn how to surf but don't have time? Want to teach your kids how to ski but don't know where? Well now there's no excuse for learning the sport! The Boarders Surf Shop is so easy to reach with its location in Rockaway Beach, you'll be there in no time at all! It's a haven for kids and adults alike who want to go water skiing in New York! What could be more fun than learning how to surf and ski with your kids? Head on to Boarders, now! If you're planning a vacation that includes water skiing in New York, Sandy Pond Resorts might just be the one you're looking for. It offers rental cabins, apartments and waterfront homes where you can do absolutely any water recreation and sports! The resorts offers activities like fishing, kayaking, jet skiing, water skiing, boating, swimming and many others! Best of all, the vacation won't break your bank! That's right, Sandy Pond Resorts prides itself on offering affordable vacation, right in a peaceful environment! But don't take our word for it, experience it for yourself. Water skiing is not for everyone, but if you want to learn how to ski and you're looking for a place to do it in New York, then try Neptune Waterski Club. Neptune Waterski is one of the best places to go water skiing in New York, and you don't have to be an expert to be a member. Whether you're young or old, if you have a passion for water skiing, then you're very welcome! Learn to slalom, barefoot, jump, wakeboard, kneeboard, pyramid and swivel ski under the guidance of experts! A Vacation with Lots of Water Fun! If you’re looking for a place to go water skiing in New York, where you can just be yourself and enjoy the sun and the water, try Blue Water Manor. Water skiing is priced at a nominal fee, which makes it a perfect group activity for you, your friends or your family. But Blue Water Manor offers more than water skiing, there’s kayaking, canoeing and row boating, and the good news is, they’re free from 9:30 - 4:30 P.M! What a deal! Looking for a resort to go water skiing in New York? Want a peaceful place to commune with nature? 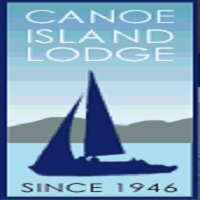 You can have all that and more at the Canoe Island Lodge! The Lodge is an all-inclusive resort that provides modern comfort in a rustic and quiet environment. You can go sailing, water skiing, boating, canoe water skiing, wake boarding and kayaking. You can even go on a cruise tour of the surrounding islands or spend a day in a secluded island! It’s the perfect place for a perfect vacation that you sure will remember for a long time! If you're thinking of water skiing in New York, then there's probably no better place to do it than on the beautiful Lake George with the view of the Adirondack Mountains! 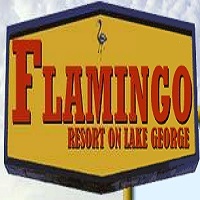 At Flamingo Resort on Lake George, you'll be able to enjoy all area attractions, as well as ski your troubles away, water skiing on the lake! Take advantage of their off-season rates at 40% off! But of course, you're welcome to come anytime of the year! What are you waiting for? 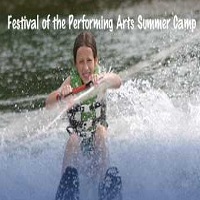 Camp Chingachgook is one of several summer camps offering water skiing in New York. In summer, Chingachgook offers camping activities on Lake George in the Adirondack Mountains. So, if it's water skiing you want for your kids, take them to Chingachgook! 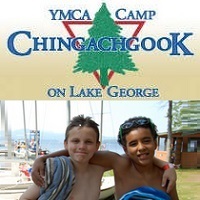 At Chingachgook, they'll learn more than water skiing, they'll learn how to handle challenges, be more responsible, build self-confidence, and gain new friends! Now, isn't that what all parents want for their kids? Searching for where you can go water skiing in New York? Check out Pangaea Puddle and opt to train under George Vosburgh. 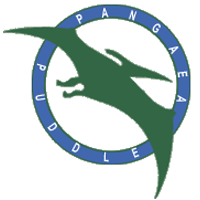 Pangaea Puddle is located about 45 miles West of Albany. If you get lost, just ask anybody, it's the most popular place in summer! 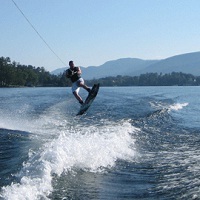 Choose from many water skiing packages priced from $30 to $995. You may also bring your own boat, if you want. Don't worry about lodging and accommodation because there's lots in the area! Visit their site and learn more how you can get yourself set-up and skiing away in no time at all! A Water Skiing Summer for your Kids! If you're thinking of sending your kids to summer camps and you're interested in water skiing activities for them, you should take a look at French Woods. At French Woods, there's an 80-acre private lake where your kids can have a go at water skiing, as well as other water recreations like banana boating and tubing. What's more, they hold water ski expositions and you can go watch your kids! So, if you want your kids to go water skiing in New York, give it a try!